Nearly eight years ago, Anders and his wife Beth decided it was time to become parents, but worried that they might be starting too late, they turned to the foster system. Eventually, the pair rounded out their family with a trio of siblings. Their real-life experience frames up the film’s plotline, which follows Pete (Mark Wahlberg) and Ellie (Rose Byrne) as they embark on a similar story. It’s the most heartwarming film Anders has made yet, though his recent output, including both “Daddy’s Home” films and “We’re the Millers” (which he partially co-wrote alongside his frequent collaborator John Morris) speak to a soft spot for family-centric stories, even in the midst of broad comedy. That’s not to say that “Instant Family” isn’t without its laughs, and the film includes plenty of gags that wouldn’t be out of place in another Anders film, from Wahlberg accidentally decking his foster son with a basketball during their first meeting to an amusing and high-energy sequence during which Pete and Ellie go after a guy who has been sniffing around their teen foster daughter, Lizzy (Isabela Moner). 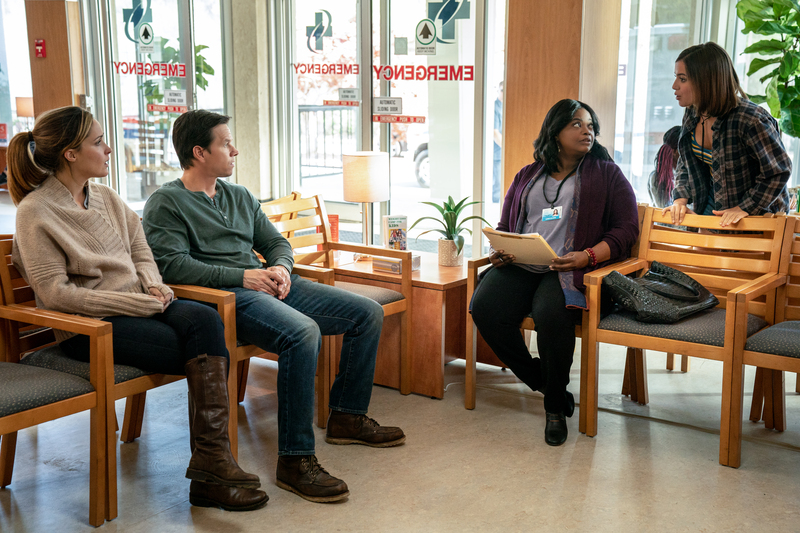 “Instant Family” is a rarity at the multiplex: a real dramedy with a ton of heart and lots of laughs that also packs an important message. As Pete and Ellie wade into the foster care system, the feature dramatizes some of the weirder stuff that the Anders family dealt with during their own journey. A few of the plot points that seem most bonkers — like a first act “adoption fair” in which prospective parents stroll around a park and attempt to bond with foster kids that feels oddly like an pet adoption fair — were drawn from early experiences, and while they earn some laughs, Anders and co-writer Morris were intent on serving up reality to their audience. While Anders admitted that he and Morris had to leave out “hundreds of things … that were really hard to let go of,” it was essential that they find the balance between informational and entertaining. 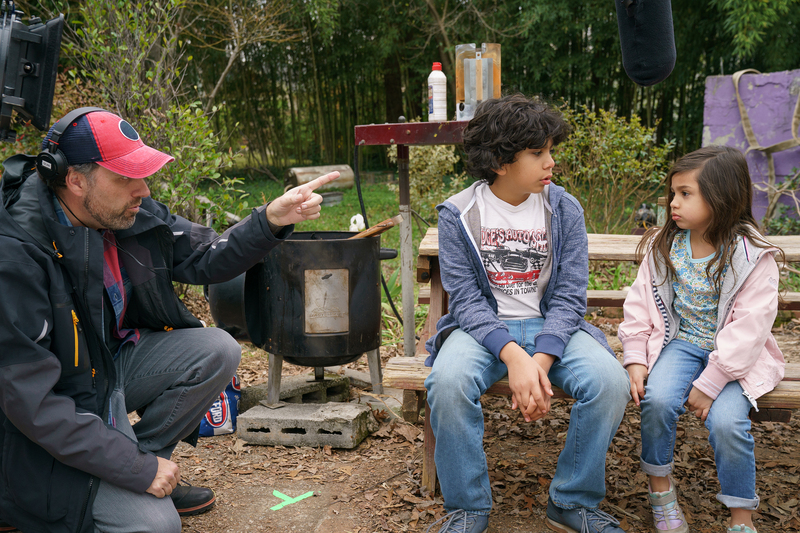 Other members of the cast had their own connection to the world of fostering, too, like co-star Joselin Reyes, who appears as Pete and Ellie’s foster kids’ birth mother in a heartbreaking scene in the film’s final act. A former foster kid named Maraide Green offered up notes on the script, and became the film’s unofficial “Lizzy consultant” before joining the film as a production assistant. Green helped provide guidance to Lizzy’s portion of the story — while the Anders family didn’t adopt a teenager like Lizzy, much of the film’s emotion hinges on the character’s spunky perspective — and even contributed to a pivotal speech given early on by a character who speaks at Pete and Ellie’s parenting classes and helps inspire them to take on a teenager. Initially scheduled for a February 2019 release, Paramount moved “Instant Family” into a prime pre-Thanksgiving slot after test screening audiences responded positively to the film. It will now face off against franchise heavy-hitter “Fantastic Beasts: The Crimes of Grindelwald” and Oscar contenders like “Widows” and “Green Book.” The studio is betting on its appeal to all kinds of families, which is exactly what Anders was always hoping to see. Paramount Pictures will release “Instant Family” in theaters on Friday, November 16.